Paul Kagame, instead of taking his wife with him like other African presidents during their recent visit to the white house, took his daughter Ange Kagame. 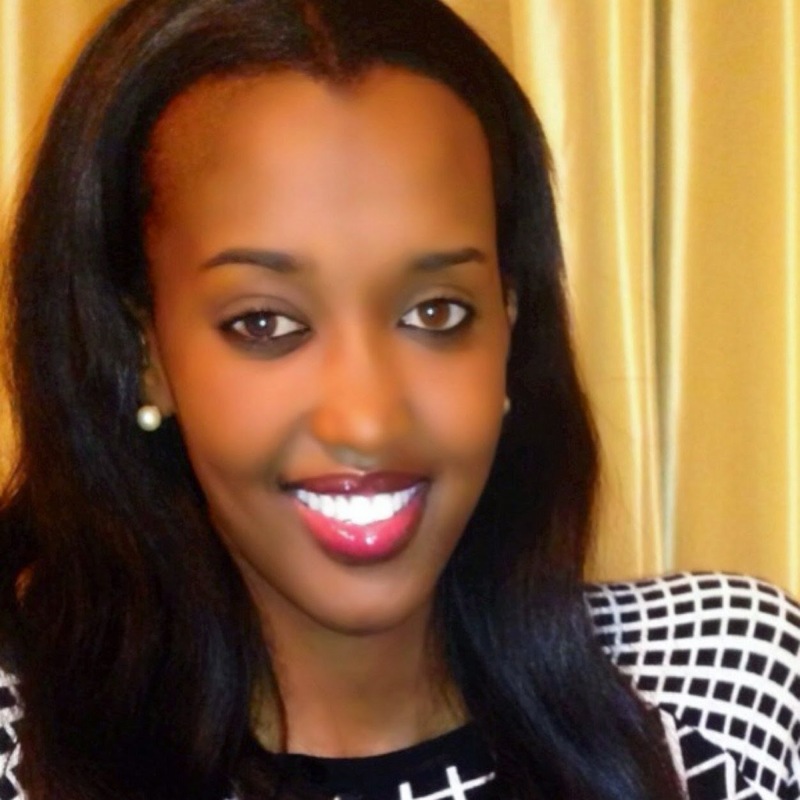 Afterwards, Ange Kagame was interviewed by one local online newline IGIHE.COM. One of the questions was to name one thing she can never live without. The president’s daughter answered innocently: “my family”. This angered so many Rwandans who lost their parents during the attacks of which Ange’s father was the commander in chief. Here is the letter written by a certain Kanyabigega Elijah, an orphan who survived Kagame’s cruelty. Allow me to write to you in English the language of which is one of the things your dad forced me to bear. I am Kanyabigega Elijah. I was told that my parents come from the former Kiyombe Commune. One of the areas your dad punished for the sins they did not commit. I am 24 now, hopefully if your dad’s DMI does not dig into my computer and take my IP to know where I am writing to you from and punish me for writing to our first daughter then I am most likely to celebrate my 25th birthday soon. However, this is not one of the reasons I am writing to you. My letter is going to basically focus on your socialite, your visit to White House, and your dad as a president of my country. After your visit with your dad to Washington, for sure your dad achieved what he wanted. He wanted to bring media attention and bring you into the international social media limelight which you got. Kudos to your dad’s PR mogul. I wish he could do the same for our far remote village in Mukarange. We would get drinking water the next day. Anyway your interview got me thinking when the IGIHE.COM journalist asked you ONE OF THE THINGS YOU CAN NEVER TOLERATE TO LIVE WITHOUT (NI IKI UDASHOBORA KWIHANGANIRA KUBAHO UDAFITE) THEN YOUR ANSWER WAS AN OBVIOUS ONE. You said that you cannot tolerate to live WITHOUT YOUR FAMILY (SINABAHO NTAMURYANGO WANGE). Here I have to correct your Kinyarwanda grammar and remind you that you are no longer in UGANDA but in Rwanda. Therefore, in Kinyarwanda we don’t say WANGE but WANJYE. Unless you want to change Kinyarwanda to Luganda the same way your dad changed French to English. No worries, we will still persevere the same way we have been since October, 1990. Coming back to your answer to IGIHE.COM. You are absolutely right. One’s family is very important but I wonder whether your dad knows or even understand the pain millions of Rwandan youth had to go through after their parents fell to the AGAFUNI. You are too young to know what AGAFUNI is but in case your dad did not sit you at his feet and explain to you how he used to kill innocent Rwandans in KIYOMBE, MUKARANGE, BWISIGE, BUTARO, KIDAHO, and other places in Rwanda, I can volunteer to teach the history of Rwanda and how your dad prepared that fame you are enjoying today. when Katiyusha was flying over my head. It is said that when your dad sent 12 bombs of Katiyusha simultaneously, my mom’s birth pangs came prematurely. As they were fleeing your dad’s advancement. I am told that that day your dad was on killing spree. He had vowed to clear the whole of KIYOMBE, CYUNGWE, BWISIGE, KIVUYE, and KIYOMBE to prepare for your coming. In the process, things got worse for my mom. She had to deliver me. However, your dad’s shelling was too much. She knew that any delay would expose her and my dad to your father’s unforgiving sword. Therefore, my dad had to think on his feet on how to solve the situation at hand. I was his firstborn. He wanted me to live and my mother as well but your dad was approaching. Then my dad saw a granary “IKIGEGA” nearby the path they were taking. He immediately carried my mom who was in severe pain and threw her in that Granary and joined her inside there. He helped me to deliver me thus the name KANYABIGEGA. After I was born things did not go well at all. You remember that IKIGEGA saved the lives of three people, myself, my mom, and my dead. I don’t have a time to go through all details of how I was born just know that God stood between me and your dad in the name of a granary so that your dad’s men don’t harm us. Let me fast-track to another day in my life, my families, and your family’s. Some in 1993, my dad and my mom went to look for food because we had spent three days without anything on our mouths. This time we lived in a refugee camp in Muhura. I hope your dad told you where Muhura was located then. My younger sister was only 4 months and my young brother was only 2 years old. However, on this fateful day, he was sick, and hungry. Therefore, my parents had to carry both of them because they did not want to leave him behind in that condition. They carried my sister who was just 4 months and my brother who was a bit older but sick. They went to a place called Nyagahanga. At this place my aunt was married there near a place called NEKE. She had invited them to her house to pick whatever food they could because children were starving. Indeed they went. However, they never came back, actually only elderly women that your dad left to tell the story. You go and ask where NYIRAMITSINDO used to stay. She is the one who told the story of how your father’s men came and besieged my aunt’s home. They were 11 RPF soldiers full of hate determined to make me an orphan forever. It was around 3pm when your dad’s men entered my aunt’s home carried AGAFUNI. They killed everybody in that home but NYIRAMITSINDO. My brother MIGISHA (Blessings) and my sister AKIZANYE did not live to see this day, simply because your dad exists. posting and sharing with her friends of how much she has enjoyed this day. AKIZANYE would have clicked liked on my comments after writing on her wall a midnight comment saying: “HBD baby girl I am glad to have a sis like you.” However, this has never happened because your dad exists. When I see you growing happily I wonder whether you ever think of other Rwandans who lost their parents because of your dad’s actions. Did your dad tell you that he refused a ceasefire and 40% that Habyarimana’s government had assigned to him and his clique from Uganda? Did your dad tell you that his actions caused a massacre of innocent Tutsis who would have survived and be enjoying life the same way you do? Have he ever confined to you that there are millions of Rwandan babies who were only one year old when your dad shot down the plane carrying the then President Habyarimana Juvenal and his Burundian counterpart Cyprian Ntaryamira? Do you ever ask yourself how your dad barred me from mourning my parents and my siblings AKIZANYE and MIHGISHA leave alone burring them with respect. know very well without haziness that with your dad’s actions Rwanda is remembered for genocide of which he could have prevented if he did not follow his greedy heart. 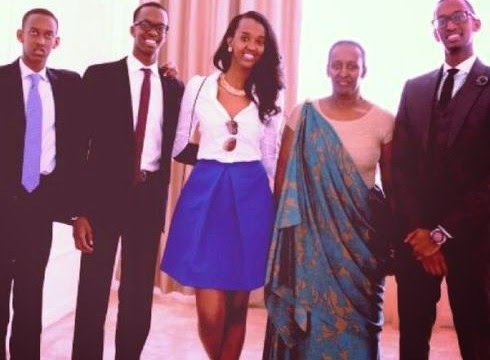 Rwandan youth are hurt but no one to tell their stories because we fear your dad will come for us as he did to KIZITO MIHIGO and Patrick Karegeya now his daughter Portia Mbabazi Karegeya, 23 would be also celebrating to be next to her dad if your dad never existed. Dear Ange, I am a young Rwandan who has been denied right to have my parents and siblings and my story cut across the board whether you are a Tutsi there are millions of Tutsis who lost their parents because your dad exists, whether it is about Hutus there millions of Hutu kids who cannot afford a smile in this Rwanda simply because your dad exists. Let’s forget about Twas because neither did the previous government give them chance to be proud of themselves nor did your father’s regime. Next time when you go to media to vomit please remember that there are millions of Rwandans that your dad has trampled on that ground. Previous COUP D ETAT 1973. Abishyize hamwe nta kibananira 3 : Zitukwamo nkuru . I understand you have struggled, but Ange has no impact on your struggles. I think you can change your mindset because you can’t change your past, but you can clean up your present for the shining future. Also, there are thousands of orphans where their parents died from other reasons free from murdering. Keep calm and I pray God to give you forgiving & forgetting heart. I deed, i think so bro. we should learn to live side by side regardless of our ethinic differences.we should learn to forgive one another and send precedent for others to learn from. Mhuuuuh, biragumye cyane!!!!. Cyakora urubyiruko rukwiye kubyigiraho ariko ntirutaneho umujinya kuko nk’uyu mwana w’umukobga ntacyo yagize kandi ntacyo yiyiziye kuko ni Kadabagizi. Abatetsi b’igitugu n’ivangur’amoko ryose bacukura ibinogo/imyobo abana babo bakazayirwamo nta ruhare babigizemo! Mwana Rira wihangane kuko Imana yakurinze igihagaze uyusabe izarinde n’uriya mwana wandikiye kuko nawe atorohewe kandi s’ibyo yikwegera! Yavutse nk’abandi, ivyo gusanga Umubyeyi ameze kuriya nawe yabibonye uko! Icyo mpa mugahura ataburyarya maze mukibukako mweho muzaraga abana banyu igihugu kizira inzika umukorabyaha yapfa atihanye akabijana ntibyitirirwe uwo asize atigeze abigiramo uruhare!! Abategetsi b’iwacu bakwiye kuza biyumvira ejo h’imiryango yabo, nabo batiyibagiye kuko Uwiteka azabasaba raporo kandi ayisanganywe! Poor Ange,she has nothing to do with the genocide in Rwanda,so is her father.I believe if RPF did not enter Rwanda in time,then Rwanda could have been like Somalia or Libya(gone to the dogs). Dude, sorry for your loss but stop living in the past,the world is not perfect so learn to leave with it. You say bad things about the president but am sure there are millions of Rwandas alive today because of him. He is not perfect since only God can be. Personally , am grateful to have a place i call home, long live PK! I have hahad, before correcting her kinyarwanda please correct your English as well,all i can see in this letter of yours is full of arrogance!! !please don’t bother going to teach her Rwandan history apparently you are the one to learn more about it.#smh we still have a long way to go. Kanyabigega, nagerageje gusoma imvaho yibyo wavugaga ariko ntabwo nashimishijwe n’imvugo ugenda ukoresha, byongeye kandi wakwibaza impamvu wowe numuryango wawe mwahungaga, bivuze ko so yari mubakoze jenoside kdi yari yanze kuva kwizima. Ikindi kandi kuba uri imfubyi ntibivuzeko Ange atabura kwishimira ko afite umuryango. Gusa ngirango kariya ni akamucitse nkuko nawe wagiye ucikwa ugakoresha imvugo nyandagazi, wenda simvugira Ange ariko niko mbikeka kuko agize umwaku ababyeyibe bakitaba imana ndakeka atakiyahura ahubwo yaharanira gutera ikirenge mucyabo. Urakoze cyane ariko ugerageze ukosore imvugo zawe. Dear author, your fathers killed our people. You claim Kagame caused the death of the Tutsi when he shot down Habyrimana’s plane, that he refused a cease fire. Let me ask you, is it Kagame or the RPF that caused killing of our people since 1959, 1974 and many deaths that occurred through the times.? Is it the refusal of the cease fire that led to the creation of Interahamwe that probably u belonged to and now ur part of FDLR in the DRC.Your post is absolute proof that your hate for a people of Tutsi birth.Your ful of hate, our people died once, RPF and Kagame stopped and this will never happen again.Ange celebrates her father because Banyarwanda celebrate him to. My dear Elijah,am really saddened by your letter to Ange Kagame.Fact be told but in this case,I guess you are accusing an innocent soul dats only trying to appreciate her family as her gift from de Almighty.Honestly if her father had a hand in making u an orphan,what has it got to do with her?Should she giveup her happiness and start mourning ur parents of whom she knows nothing about.We have all lost dear ones,parents and so on but can never blame RPF,infact to us they’re heroes…I dont think they prepared the list of Tutsi names dat were to be massacred even before the death of ur beloved president Habyarimana.And probably I should correct u somewhere,Kagame has not made Rwanda home to a few like u claim but a home for all Rwandans to live peacefully as one,ofcourse we cant miss a few like u who are attached to hatred dat let to genocide,but remember hatred is a disease and a barrier of development.And if Kagame is so bad as u claim,would u have got de guts to write this letter to Ange….I will give u an example of one reffered to as bad….take an example of Rwanda’s ex and deceased president Kayibanda,he was tortured in prison and left to die of hunger and de worst part was at de hands of his fellow hutu president,atleast he would have sympathised with him but never…. Also u talk about english as a language u were forced to bear,who forced u and can u prove it?If u were forced,think of de Anglophones who were also ordered to learn French and others left the country to study elsewhere bcz they couldnt stand it…if u chose to learn English,its bcz u found it helpful and stop putting up blind complaints especially to those who have nothing to do with your hatred like Ange Kagame. I just wish u well and hope dat a day will come when u will remove de hatred u carry within u bcz it will only lead u to destruction and nothing else.Also give up doz selfish thoughts,bcz u got no parents but atleast u got a life to live and happily….there are maby with families but have no life….THINK&REFLECT!! Ndabona muba mwabuze aho mwandikira amateshwa n’amatiku n’ishyari. i don’t know what Kagame may do inorder to make everyone living by happiness. am not even old to say what happened basically as a young Rwanda lets agree that our past Rwanda wad not geatful to everyone. when your are trying to hundle the problems of Nation there must be the Victims but what i can say togethers as Rwandans lets use our present and together we builda better future where our next people or our childrens will live like Paradise. i can to much things but i prefer to stop here. thank u very much. i couldnt get the gats to continue after reading 2 paragraphs.Sincerely speaking what do you want the poor girl to do?Say that she cannot live without you?oh please finish your anger from somewhere else but not the girl,let her be!!!!!!!!!!!! We have lost more than families, parents,friends. Living in the past thinking about how different your life would be today if what happened had not! Is only a waste of time! We should be thankfull that we can still breath&we are alive n still living!and to you I write, the circle of your is the same to all of us. problems of rwandans will be solved by rwandans. I love my president but in these recent days he has gone astray(examples include – Ones opinion making that person an enemy of the state, -Considering himself supernatural(“Mwibagiwe uwabagize icyo muri cyo” quoting PK and this guburirwa irengero kwabaturage)). As Rwandans lets standup and persuade him to come back in the right direction or step down. muvandimwe kanyabigega eljah ndagusuhuje! nifuje kugusubiza kuri iyi baruwa wandikiye mushiki wacu Ange. amateka yanjye ni maremare kuko jenoside yakorewe abatutsi mu Rwanda yansize nta mubyeyi nta na family… nyamara ubu ndi umugabo ntitaye kuwaba wari ubiri inyuma. gusa sorry! kandi komeza ube umugabo kuko le temps passe’ ne reviendra jamais! gusa pardon gato: Ange koko ashobora kuba hari interview yatanga akayitanga ari proud! niba ibyo se yarabikoze umwana we ashobora kuba hari ukundi abifata nk’umwana ufite umuryango!.. so the genocide it’s kagame’s fault? why not it’s an interesting point of view. I am in love with this article. I am a refugee struggling in a refugee camp. Whiles I have a country. Thanks to the Girl who come openly in public and expressed her feelings. Dear Ange. yes we can leave without our familly. worst that some are living without their famillies and its out of their wishes. This is another joke of Kagame and his RPF killers. 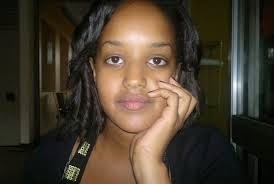 It’s a pity an innocent mind of a child like Ange Kagame of loving her parents generates this reality of selfishness. But Ange my dear! Know that your father Kagame is a bloody killer who has no sense of knowing that all children love their parents the same. When Kagame decided to shoot and kill President Habyarimana, he obviously knew Habyarimana had children and did not care. When Kagame was strangling Karegeya in South Africa, he well knew Karegeya had children but did not care. So Ange, let Kanyabigega tell you, for his narrative represents that of millions of orphans caused by your father Killer Kagame in this our Great Lakes Region. ProudlyRwandan is clever in his comments! do we have to prevent kids to enjoy their families prosperity? do they need to know how good or bad their parent worked to reach what satisfy their kids at the extent they can’t tolerate living without parents? Our history is complex enough to teach us TOLERANCE AND FORGIVENESS among us, Hutus, Tutsis, Twas We are all Banyarwanda. We should learn to live as brothers. So does she have to stop celebrating her life and her family? I don’t think so! That is called gratitude, an important value in life. As for you, I am sorry for your family. But, those RPF soldiers that you call killers, I call them heroes. For I am surrounded by living proofs who survived because they had the courage to fight for many they did not know. I am not saying that they are perfect, but I just realize that if it were not for them, some of us wouldn’t be here. I guess it is paradoxical as they are two sides of the same story, I guess there can never be one in this world. So, the question you have to ask yourself is do you keep that resentment in your heart that is obviously making your life miserable or do you ask God to give a new heart to build yourself a life with His Mighty help and honor the legacy of your family? Do this generation have to walk in the hate that led to the genocide of the tutsis or do we strive for peace without blaming children for the mistakes of their parents? But, I guess you really need a sober mind to think of that or even consider it. May the peace of the Lord be with you. Wow.. that is all I can say.